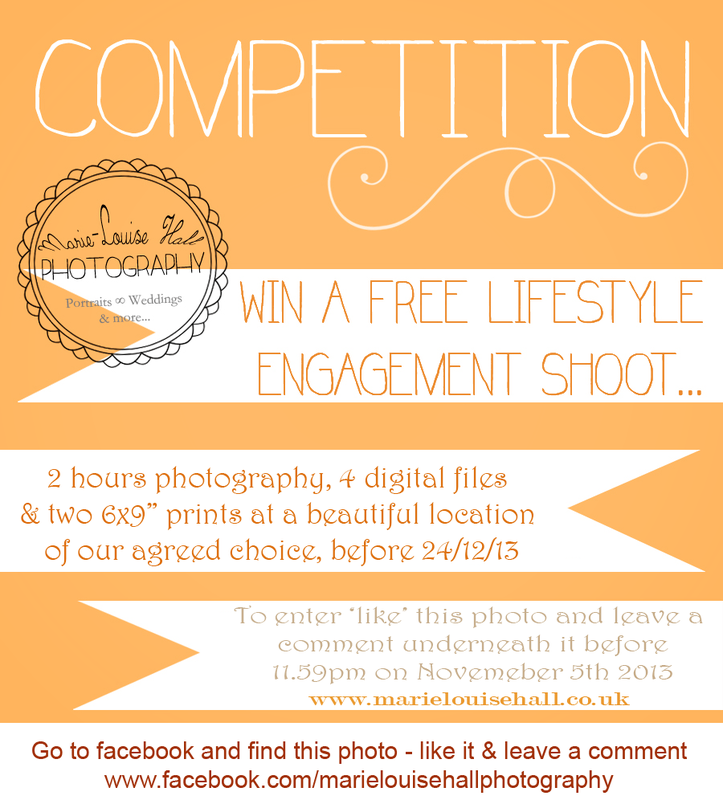 Would you or someone you know like to win a free lifestyle engagement shoot? Do I see you nodding your head? Well read on to find out how! I need you to visit & like my facebook page by clicking here, and find the photo advertising the competition (should be pinned to the top of the page). You need to like it AND leave me a comment! The comment can say whatever you would like! You have until November 5th 2013 to enter with the winner drawn at random and announced on November 6th 2013! What will you win exactly, I hear you ask! You will win a free 2 hour engagement photo shoot at a location chosen between us (travel costs may apply), as well as 4 digital files and two 6x9" prints. 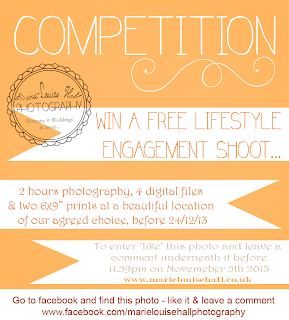 As well as this you will get 10% off of your next package and products with Marie-Louise Hall Photography! Pop on over now and good luck! !